Have you recently hired a new employee whose probation period is fast approaching and feeling uncertain about whether they are the right fit? Don’t leave it until it’s too late to discuss potential performance obstacles. The recruitment process is expensive and it’s important that any teething issues are dealt with quickly. 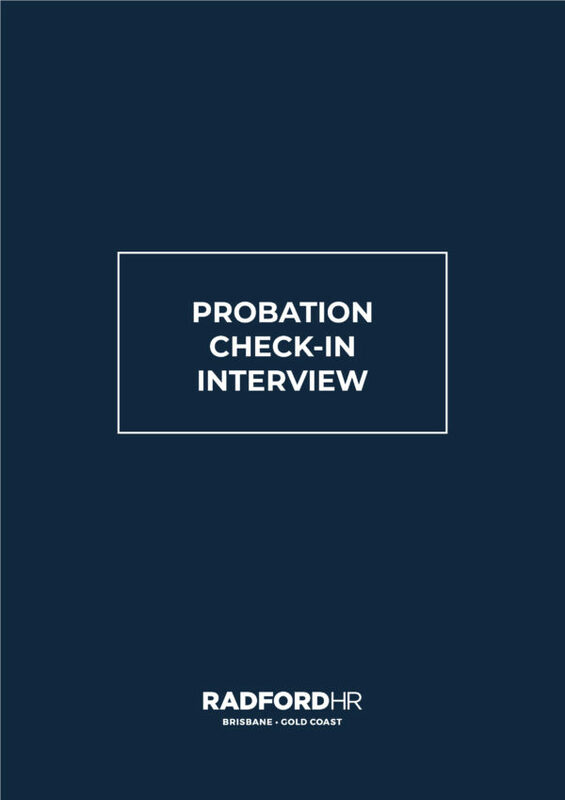 The Probation Check in Interview Template is a great tool to support Managers in conducting probation reviews with new hires. Also doubles as a useful tool to collect information on candidate experiences to further improve and refine the recruitment and on-boarding processes for new employees.